A.W. 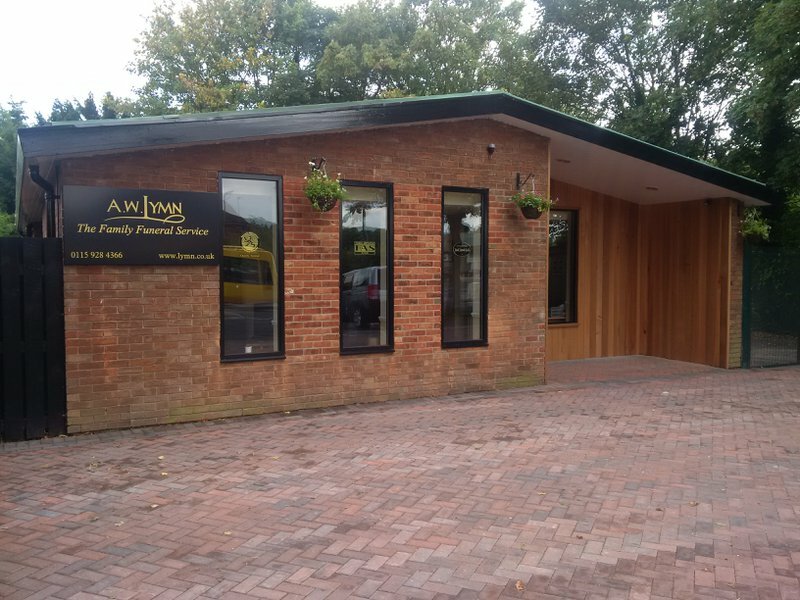 Lymn is a family-run funeral director firm serving bereaved families from Bilborough, Bramcote, Wollaton and other communities around the Nottingham area. I feel from start to finish I have received a professional and friendly service from all of the staff at the Wollaton Branch in particular Alan who I saw on several occasions to discuss the arrangements for my dads funeral. Alan was fantastic! He was very patient and understanding and Nothing was too much trouble. He assisted with arranging for additional photographs to be printed in his own time which was above and beyond his daily duties and very much appreciated. The staff were always polite and offered lots of advice, guidance and support throughout this difficult time. The service and burial went smoothly and everything I asked for was adhered to with lots of reassurance and support from Julia who was brilliant on the day of the funeral. The staff at the Wollaton branch were exemplary throughout the process and I am extremely grateful for the service I received. I cannot Praise the staff enough for there help and good service. They continue to uphold the excellent reputation of AW Lymn and I would highly recommend this branch and AW Lymn to any friends or family. Thank you all once again. Richard and the staff from the Wollaton branch in Nottingham couldn't of done anymore for my family. They were not only very professional but also very friendly and sympathetic. We as a family cannot thank them enough. The Wollaton branch originally belonged to the Ilkeston Co-op Funeral Service before being incorporated into the A W Lymn group in 2003. The funeral home was formerly based on Arleston Drive in Wollaton, but was moved in late July 2014 to a purposed designed site on Wollaton Road called Deer Park House. 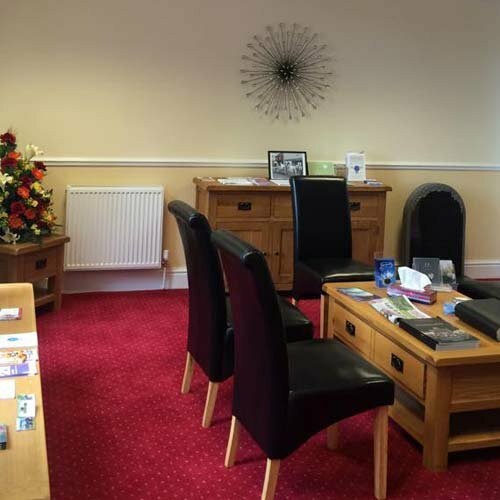 The new premises has off-street car parking and a beautiful visitation room with its own private waiting area. The office was formerly a police station and features a large, bright, modern client reception, as well as state-of-the-art rooms. 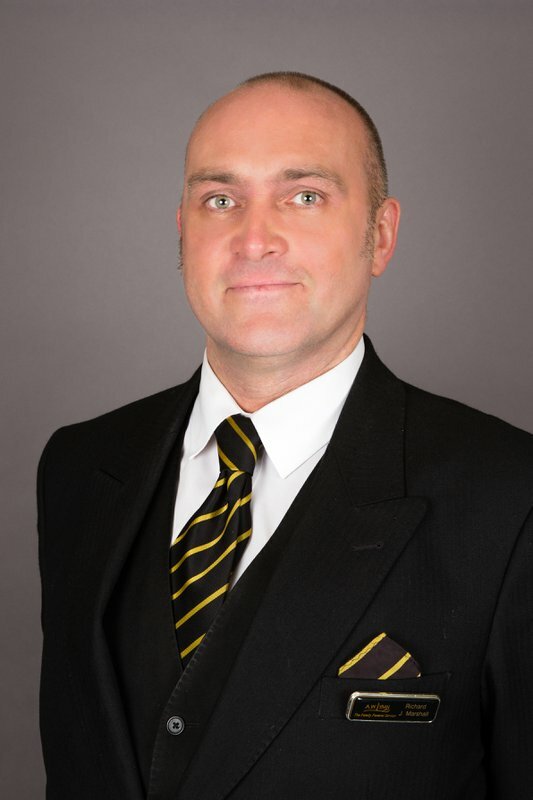 Senior funeral director Richard Marshall is responsible for the branch and is assisted by funeral arranger Nicola Anderson. Richard and Nicola are available at the office Monday to Friday from 9 am to 5 pm and on Saturdays from 9 am to 12.30 pm. You can also make an appointment to see someone after hours via our telephone number. The branch covers all of Wollaton and its surroundings including Bilborough, Bramcote, Nuthall, Strelley, Trowell, Watnall and beyond. 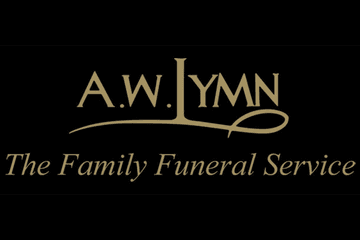 A W Lymn The Family Funeral Service is managed and owned by the Lymn Rose family. Nigel, Jackie and Matthew Lymn Rose are the directors of the company. It was truly a privilege and an honour to help such a wonderful family. We had several meetings to go through and clarify different areas of the funeral and I was extremely careful to ensure that nothing was lost in the translation. I am very grateful for my colleague Julia’s help. There was certainly a lot of detail to get right and I was very happy to bring an element of my graphic and photo manipulation skills to bear in sorting out some family photos for you; I was very pleased with the results and I’m very happy that you were too. Again, with the help of Julia conducting the funeral, I’m delighted that everything went off without a hitch. Thank you, Alan. Thank you for your high appraisal, we are glad you found all the team to be both professional and friendly and I have passed your thanks on to them. Although the funeral was difficult to arrange, due to the fact that the family could not be all together at any one time and had to done via email and telephone, everything worked out very well. The staff were very kind and patient with us and inspite of all the adjustments we made the day went without any problems. Well done Lymns and many thanks. We are glad that even with the difficulty of not being able to make all the arrangements face to face everything went exactly as planned on the day and you were treated with kindness and patience by the team. Thank you. Thank you for your kind words, we are please that everything ran to perfection and your thanks have been passed onto Nicky and the rest of her team. We are pleased you found the team at Wollaton to be sympathetic and professional and we thank you for this positive review. What more can I say. Thank you for everything. Thank you to you too for these kind words and your gratitude. Nicky. We are pleased that Nicola and Richard gave you the time you needed both during the arrangements and on the day itself and they both joining me in thanking you for this lovely review and for your recommendation. We are glad that the considerate and dignified manner of both Nicki and the staff on the day put you and your family at ease and we all thank you for taking the time to leave this kind review. An extremely professional service. At such a sad time they took away all the stress with caring and understanding. The day of the funeral was perfect. The family cannot thank them enough. We are pleased that Nicky's care and understanding helped make this stressful time a little easier for you and are glad that everything was perfect on the day for you. Thank you. I have nothing but praise for the way the funeral went for my son Christopher Marshall everything was done with perfection both in the wollaton office and Jane on the day. 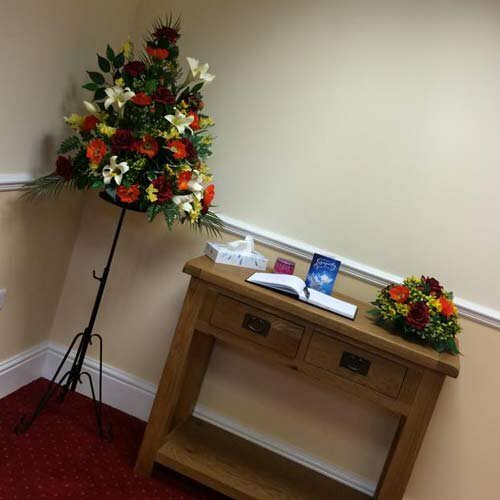 We are pleased that you were so well looked after by both Nicky in the office and Jane on the day of the funeral, and that everything was carried out to perfection making this difficult day a little easier. Thank you. Very good and professional people, he had a great send off which could not have been done without you guys proving an excellent service. Thank you for this lovely review. We are pleased you received professional service throughout and are glad that everything went well on the day itself. From day one so caring and helpful. Made what is such a traumatic time more bearable. We are glad that Nicky's caring and helpful nature made this traumatic time a little more bearable for you and she joins me in thanking you for your kind words. From the first time we met Nicola to all our meetings with Richard every thing concerning my husband,Ian Longson ‘s funeral was handled in a kind yet extremely professional manner. The arrangements worked perfectly and I can honestly say we,as a family, were so pleased to have chosen Lymns to provide this last event for Ian. I'm so pleased that we were able to achieve the funeral that you wanted as you had put a lot of time and effort into it. I would also like to thank you on behalf of both Nicky and myself for this lovely review. Thank you, Richard. Thank you to everyone at Wollaton for helping us with our Mums funeral, especially Nicky who's help, advice and patience was much appreciated. Your service in all areas was excellent. Nicky has asked me to pass on her thanks for this lovely review. She is pleased that her advice and patience helped you during this sad time. Thank you. Thank you for this lovely review, we are glad that Nicola's help and comfort made a difference to you at this sad time. Nikki and I are grateful for your thanks and are glad that we were able to be of help to you and your family. Thank you, Richard. Nikki has asked me to pass on her thanks to you for your kind comments and she is glad that she was able to help you at such a difficult time. Thank you for your kind words, we are pleased that everything was carried out with respect and that the service was a great reflection of Zoe. From start to finish Lymns we’re so sensitive to our needs and made the whole event run so smoothly. Nicola and Richard were so kind and helpful to us at such a difficult time. Thank you so much. Both Nicola and I are very grateful for your kind comments and we are pleased that we were able to make things a little bit easier at such a sad time for you and your family. Thank you, Richard. From start to finish they were brilliant! They did my Father proud!! Thank you Jackie and the team! We were very pleased with the care and support provided throughput. Julia was first class. 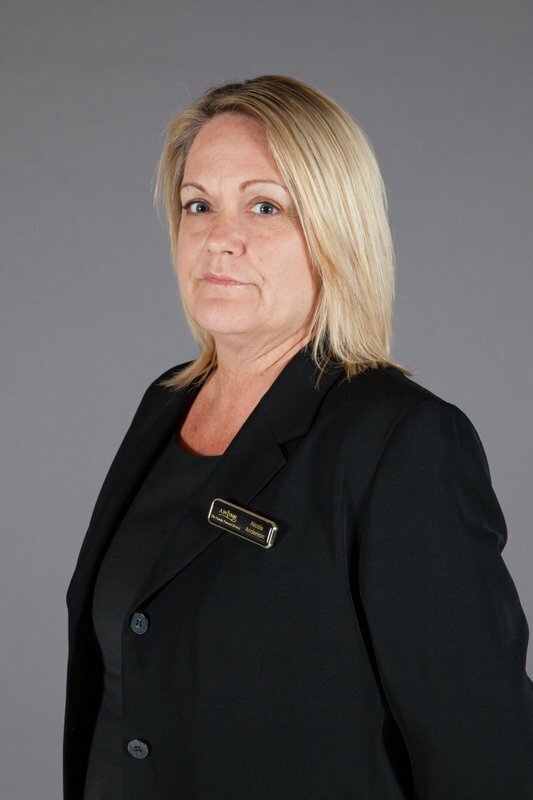 We are pleased that Julia provided first class care and support and she joins me in thanking you for your kind words. Really great help and support from Nicky at Wollaton and from Julia and her team on the day much appreciated by the family. We are pleased that Nicky & Julia provided your family with great help and support both before and at the time of the funeral and we all thank you for taking the time to leave this kind review of their service. Very well organised, inspired confidence in the family, managed all arrangements in an unhurried and sympathetic manner. We are pleased that the team at Wollaton offered well organised, unhurried and sympathetic service which inspired confidence within your family and we are grateful to you for taking the time to leave this positive review. If however there was something further we could have done to improve our service then we would welcome this feedback from you. Thank you. Thank you for this positive review. We are pleased you found the team at Wollaton to be helpful, well organised and empathetic and are glad that they were able to help you give your sister a good send off. We have noted your 4* rating and if there is any additional feedback that you could give us on how we could improve our service then we would be very grateful to receive this. Thank you. A.W. Lymn Wollaton will provide you with a free obituary as part of their service.